Including new and revised essays from top names in the field, this is the definitive volume for all students of public administration who are seeking to understand the policy process. 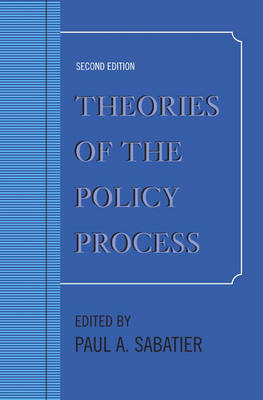 "Theories of the Policy Process" provides a forum for the proponents of several of the most promising and widely-used theoretical frameworks to present the basic propositions of their frameworks, to assess the empirical evidence that has developed, and to discuss promising directions for future research. This thoroughly revised new edition contains updates to all of the existing essays, plus new chapters on Social Construction, Policy Design and Policy Networks.